Safely store knives, thermometers, knife sharpeners, scissors and so on. Any straight tool, up to 10" long, fits just fine because the skewers hold them upright and adjust for varying volume. When things get tight simply remove a few skewers (save for your favorite kabobs!) and add new kitchen tools. 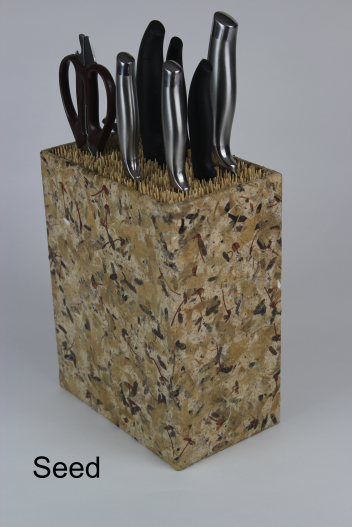 The nEAT Block's vertical orientation eliminates dangerous tipping and protects the knives' sharp edges. 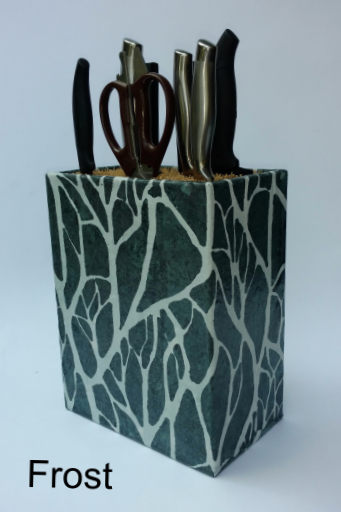 It is handmade of Baltic Birch plywood, wrapped with specialty paper and finished with durable acrylic. The box dimensions are 8" x 5" x 10 1/2" high. 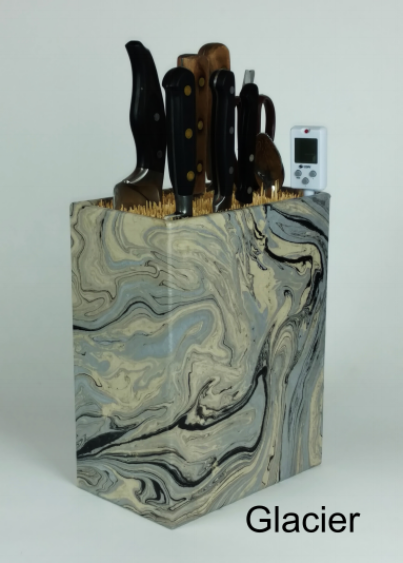 It is a fantastic versatile knife block. Which is more fun, making blocks or raising kids?